Billions of years ago when our Solar System was first forming, molten blobs of liquid metal once hung around suspended in space – the result of catastrophic collisions stripping protoplanets of their rocky outer layers in order to expose their iron-rich molten core. Now, researchers at the University of California, Santa Cruz have reason to believe that as the metal cooled and solidified around the outside of these asteroids, volcanoes spewing liquid iron may have blown through a solid iron crust on their surface. And there’s only one way to find out for certain. The research is part of NASA’s Psyche mission set to launch in 2022 to a unique metal asteroid known as Psyche, which is orbiting around the Sun between Mars and Jupiter and seems to have the exposed nickel-iron core of an early planet – one of the building blocks of the Solar System. Scientists hope that an analysis of Psyche will help inform our understanding of how terrestrial planets once formed. For example, deep in rocky terrestrial planets – including our own – scientists believe there are metallic cores far below rocky mantles and crusts. Since we can’t dig or see that far into our own earth, analyses of Psyche may help to explain how Earth might have formed. “In some cases, [the object] would crystallize from the center out and wouldn’t have volcanism, but some would crystallize from the top down, so you’d get a solid sheet of metal on the surface with liquid metal underneath,” Nimmo said. What exactly the iron volcanoes might have looked like depends on the composition of the asteroid’s molten material. 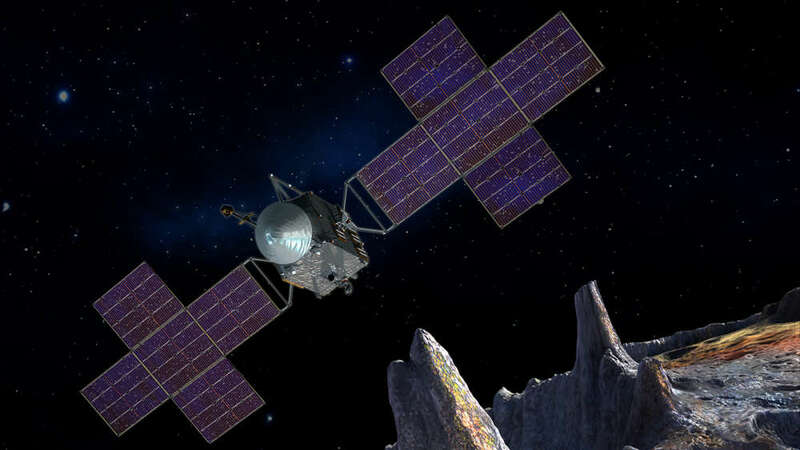 NASA’s Psyche probe is expected to make it to the asteroid in 2026. Meanwhile, the team’s study has been accepted for publication in Geophysical Research Letters. SociAutomate Elite Lite Harness The Power of Social Media Automation To Get MORE Leads, Sales and Buyers on Complete Autopilot With SociAutomate! Instant Graphics Pro Online Software App to Create Amazing Looking Graphics for All Your Marketing Needs! Insta-Stories 2.0 Template Club Produce Stunning Storie Ads for You or Your Brand Today!